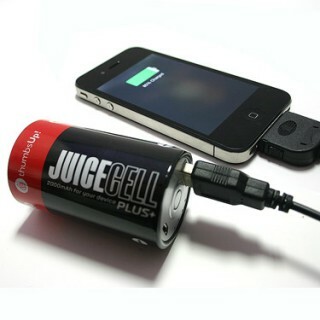 This battery shaped emergency charger provides extra juice for your gadget on-the-go. Despite its pocket-sized stature, this portable charger lends a punch full of extra power to your devices (2000mAh) just when you need it most, i.e. 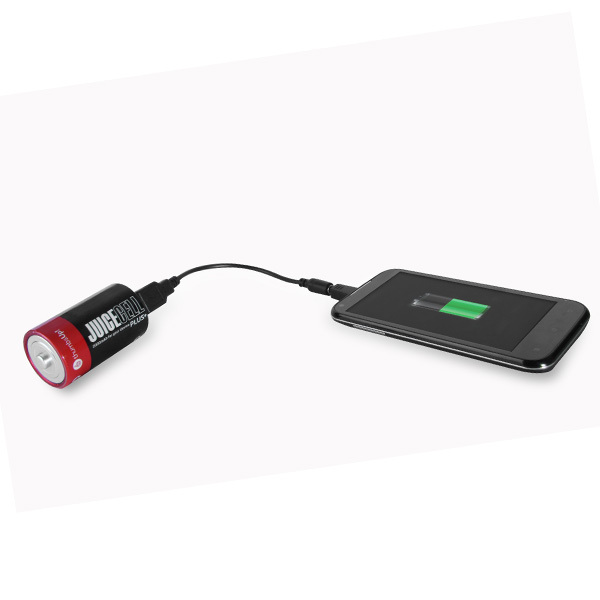 when you are running late for a date or important meeting and your phone battery is precariously low! 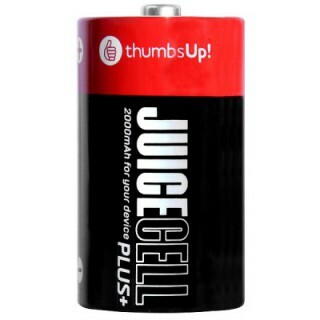 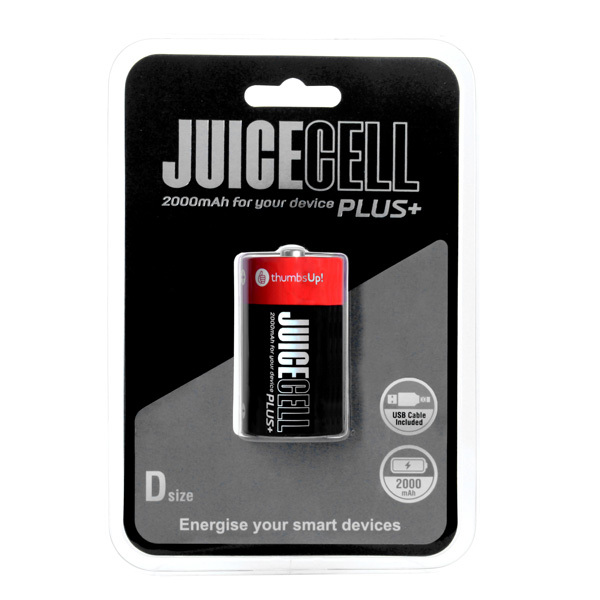 Compatible with any micro USB, mini USB or Apple 30 pin charged devices, the Juice Cell comes with a charging cord and 3 connectors. 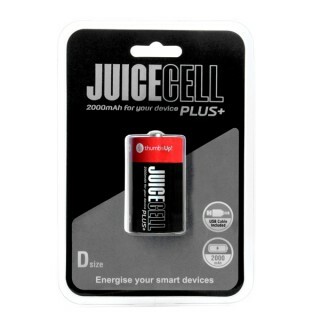 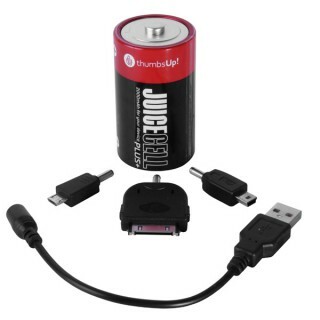 The Juice Cell is also compatible with most existing USB charging cables.